The other day I read an article written by Bill Esler on the Woodworking Network website about a $100M modular home factory for sale. He can't figure out which plant it is and took some wild guesses but Modcoach knows. Three manufacturing facilities produce modular homes, panelized homes, and building components." With "an excellent reputation and a large backlog of orders," says the ad, which appears in the Wall St. Journal classifieds section, "owner retiring and will sell business this year." Many clues are offered as to which company it is: "This is a state-of-the-art operation" with a new 58-acre complex and new buildings equipped with mostly new machinery in year 2008," the ad says. It delivers to the Baltimore area. The factory is Foremost Homes in Greencastle, PA. 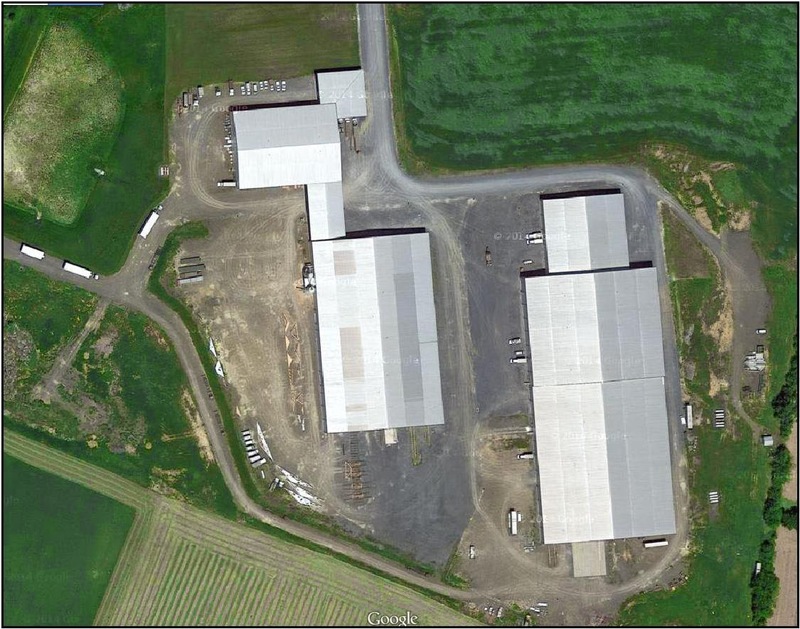 The three facilities mentioned are a newer modular home factory with dual lines, a state of the art panel and truss plant and a completely enclosed lumber and building material storage facility. The building on the right is the modular factory and only the left hand side is used for the production line. The entire right hand side of the building is used for storage of materials. The company's sales office is located several miles from the factory. There used to be a model village next to the sales center but they were removed about 4 years ago and two model homes were built INSIDE the factory where you need to escorted by a sales rep just to see them. The modular factory has two production lines but rarely needs to open the second line. Since they have no builder network and a very small sales staff, all sales are retail which limits the number of homes they can sell. They deliver, set and finish all their homes. Their sales area is limited to about 100 miles from their factory in lower west-central PA. The panel and truss plant is located next door and builds all the walls and trusses for the factory. This means that when the walls arrive, they are sheathed on the outside and all electrical and plumbing has to be completed exactly as you would a site built home which adds time and labor. Just my opinion but I'd say that if Foremost Homes had the potential to actually do $100M in sales a year it would already be close to that already and I also believe that without the panel and truss plant next door, this would be a tough factory in which to efficiently build modular homes.